Hope you enjoyed your weekend. I enjoyed mine, celebrating my sister's birthday and watching Eliana put on a show for everyone. 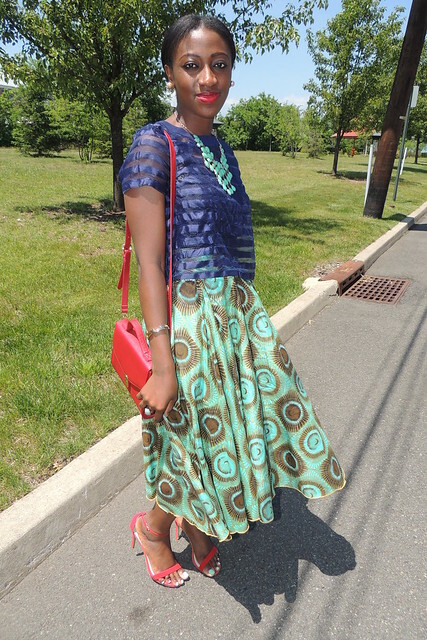 One can never have too many midi skirt, right? 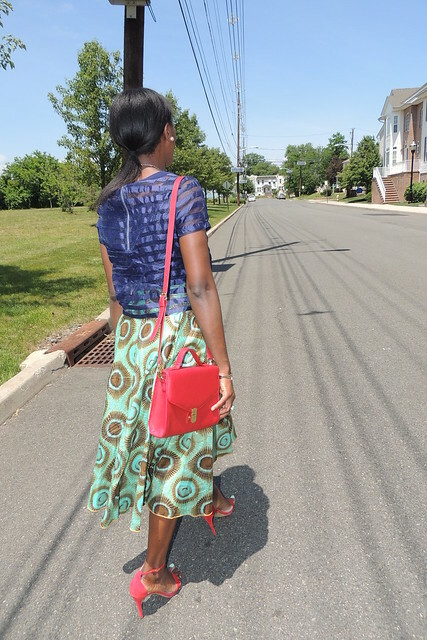 Although, this is an old piece, and no, this was not made by me; I can't resist the urge to add more full midi skirts to my closet. 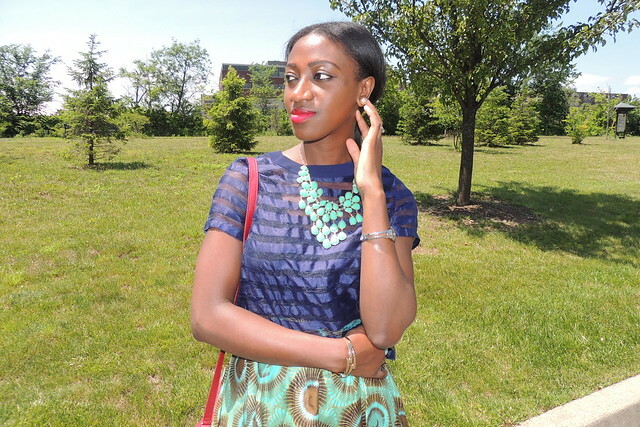 I wore this same skirt here on the blog. Going for a somewhat casual look, paired it with my boxy sheer stripe crop top and red sandals and bag. 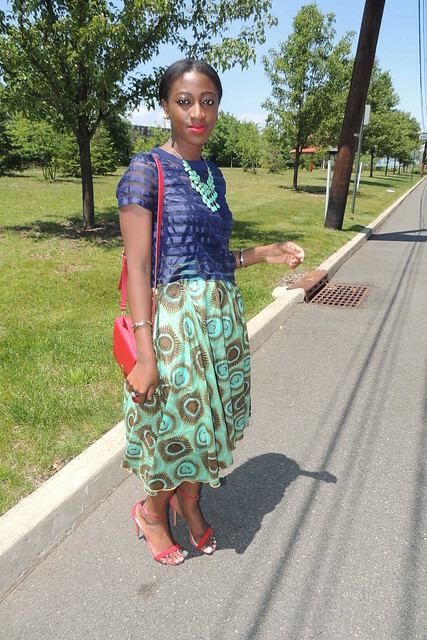 Lol, I agree, one can never have too many midi skirts. I really like the midi silhouette, both in fitted and full skirt. It's so demure and chic.